We have a very big soft spot for the classic 2H Land Cruisers, Landrovers and Ford Controls that trail-blazed their way across the wilderness when the Botswana safari world was in its infancy. However, with the market increasingly requesting a more modern world approach to safaris we have to move with the times! While we stick firmly to the old-world ethos of a safari adventure, the mobile safaris of Safari & Guide Services don’t compromise on vehicle comfort and quality. With this in mind, we recently refurbished all our game drive vehicles (done by our friends at Kavango Engineering in Maun) giving a modern and comfortable fleet from which to travel through the beautiful unspoilt wilderness of Botswana. From advanced suspension and camera rests to multiple plug charging points, this is all you need to tour Botswana in comfort. Two weeks in the bush may, however, sort out the beautiful new paintwork! We are also continuously reinvesting in our mobile safaris with all our tents, beds, gazebos and mobile camp being constantly renewed and refurbished. This ensures that you are on safari with a comfortable and up to date safari camp while maintaining the spirit of adventure that so captivates our guests when they come to Botswana. 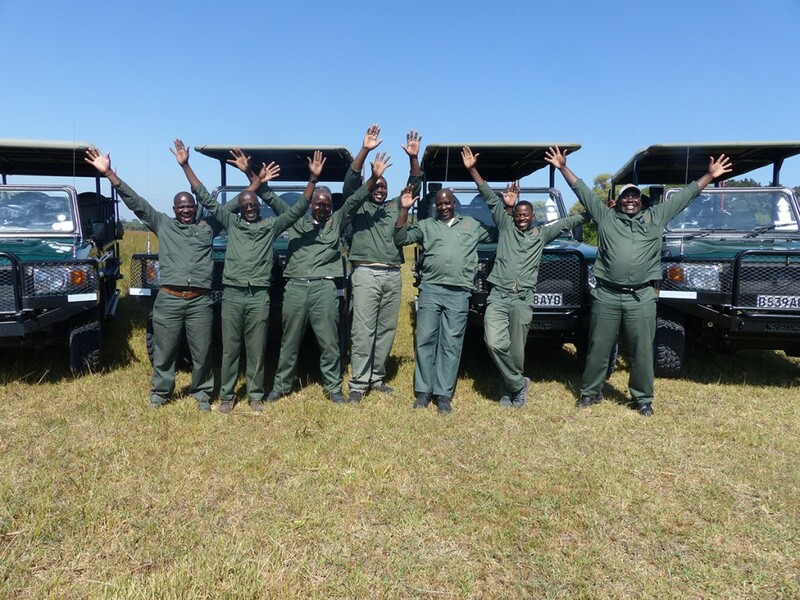 Safari & Guide Services has over 30 years’ experience as a leading provider of Tailor Made Mobile Safaris in Botswana. We launched our new website earlier this year which includes all our various Mobile Safari options as well as the various adventures we organise in Botswana.